Academy Award nominee® Jeff Goldblum (“Jurassic Park,” “Grand Budapest Hotel”) as Adam Stein delivers one of the most powerful performances of his career in this compelling, unforgettably moving film. 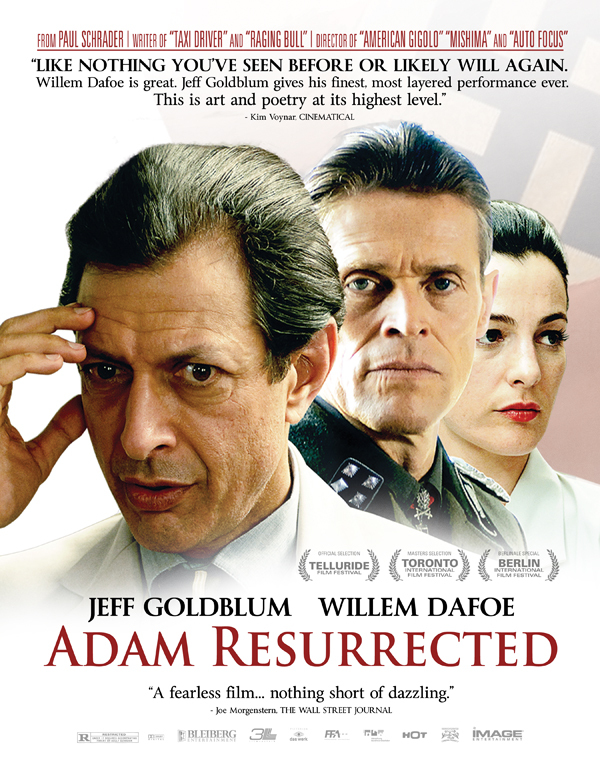 Tormented in a World War II concentration death camp by a high-ranking Nazi officer (Oscar® nominee Willem Dafoe, “Spider-Man,” “Antichrist”), Adam spends the next 15 years tucked away in a remote experimental insane asylum with fellow Holocaust victims. Clinging to the remains of his sanity, Adam uses his amazing magic and comic skills to entertain the residents and develops a relationship with an attractive nurse (Ayelet Zurer, “Angels & Demons,” “Man of Steel”). But only when he reaches out to a mentally scarred young boy does he begin to confront his own pain and guilt and start to heal in this extraordinary testament to the fierce resilience of the human spirit. Also starring Derek Jacobi (“Gladiator,” “Murder on the Orient Express”) and directed by the legendary Paul Schrader (“Auto Focus,” “Affliction,” “Mishima”).